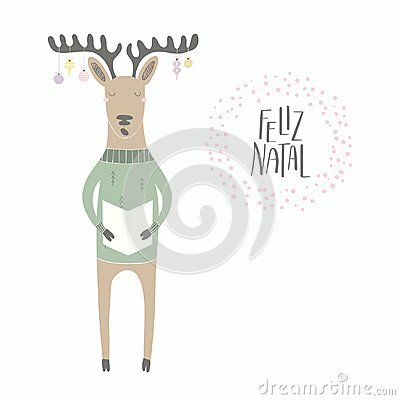 Hand drawn vector illustration of a cute funny singing reindeer , with quote Feliz Natal, Merry Christmas in Portuguese. Isolated objects on white background. Flat style design. Concept card, invite.